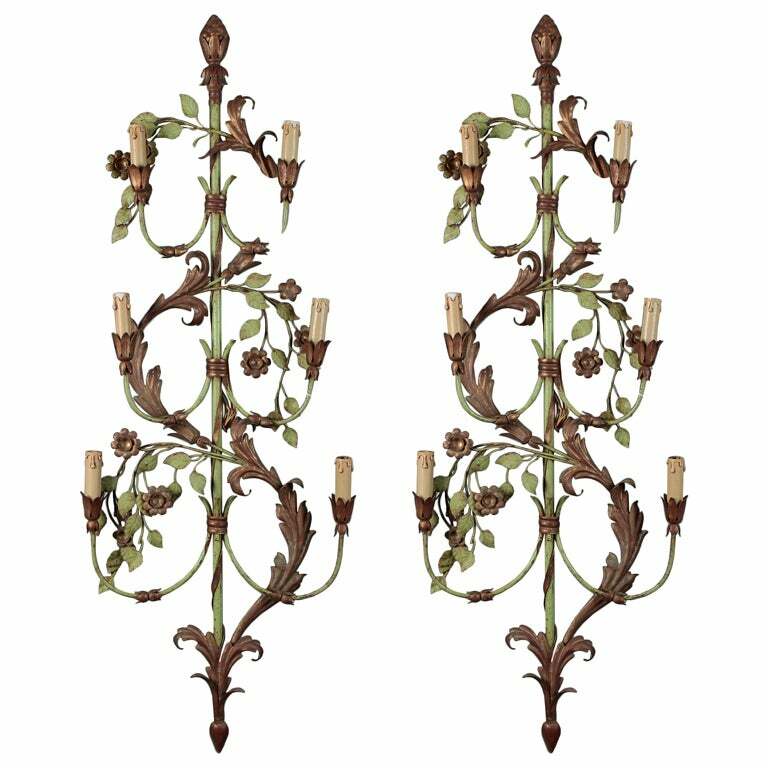 This pair of very tall circa 1920s French six-light tole sconces have a design of acanthus leaves and flowering vines with a green and gilt painted finish. 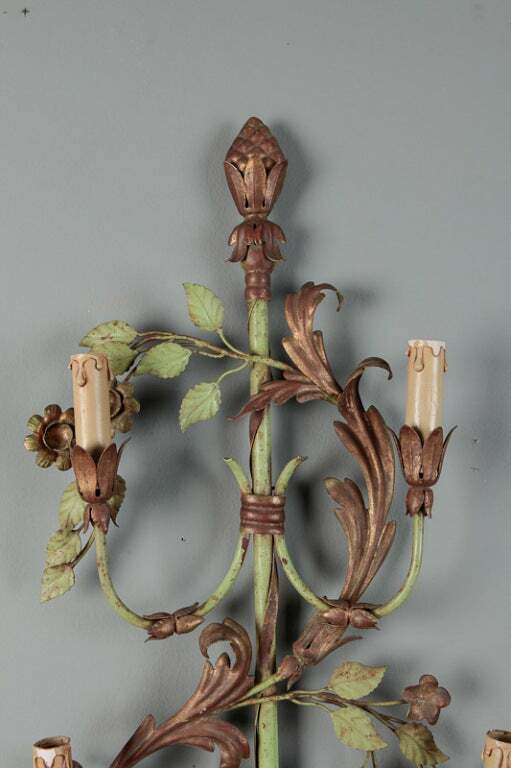 Some patina and signs of wear to painted and gilded finish. The wiring has been updated for US electrical standards. 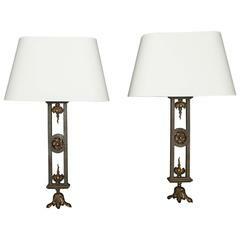 Sold and priced as a pair. Very good antique condition with some visible wear to painted finish - new wiring for US electrical standards. 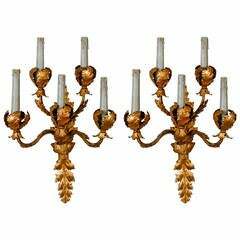 Pair of French monumental gilt iron six-light wall sconces having a central fluted stem with tubular arms extending out at different lengths terminating in a giltwood bobeche. 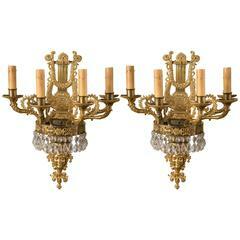 Period French Empire one arm tole and gilt wall sconces. 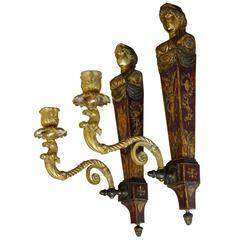 Red tole with neoclassical trophies Single candle arm of eagle head Female herm bust in gilt. 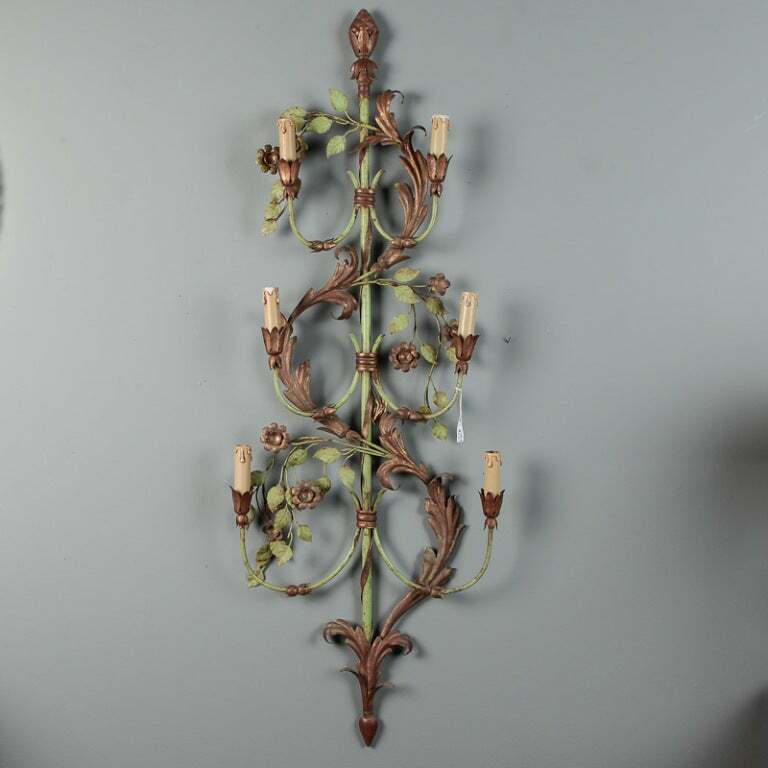 A pair of handsome green tole wall sconces having three arms each. 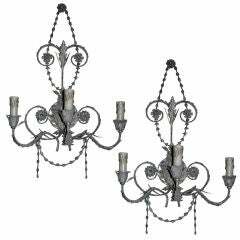 Electrified and ready to add light with beauty and style. 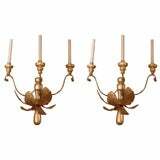 French water gilt gold sconces having six large tole acanthus leafs mounted on wood with three large scrolled tole arms with candle lights under which hangs a wooden gilt tassel. 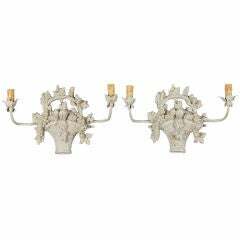 One pair of French tole two-light wall sconces. 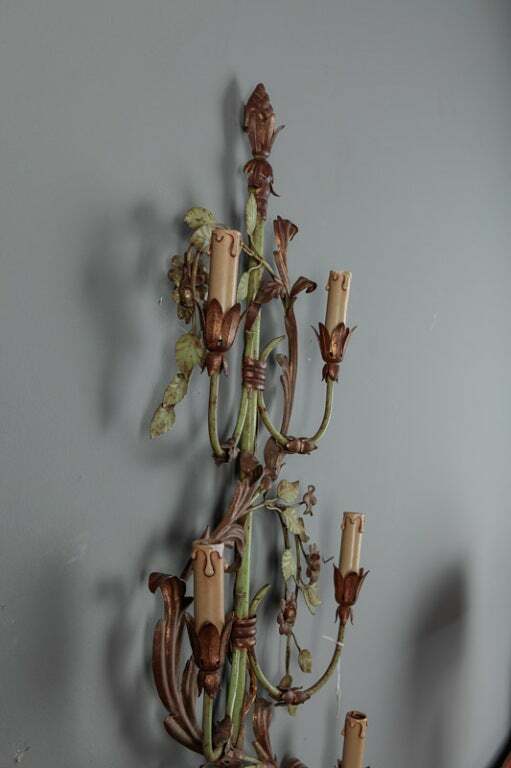 Floral decoration. 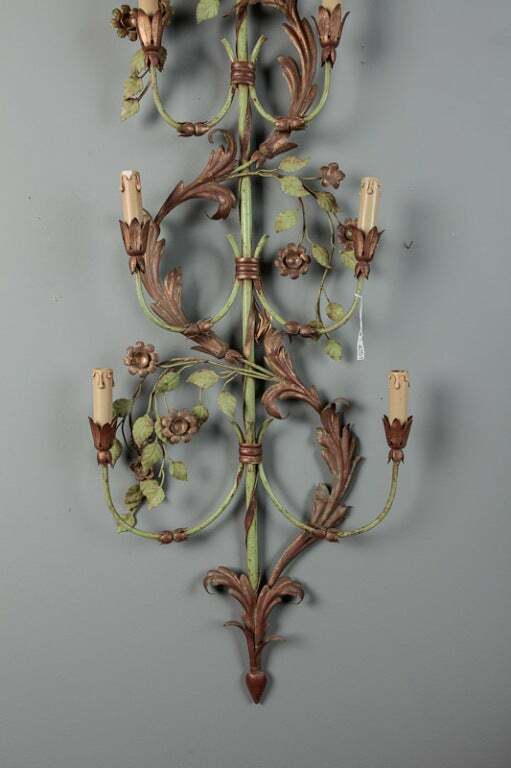 One pair of French tole three-light wall sconces. 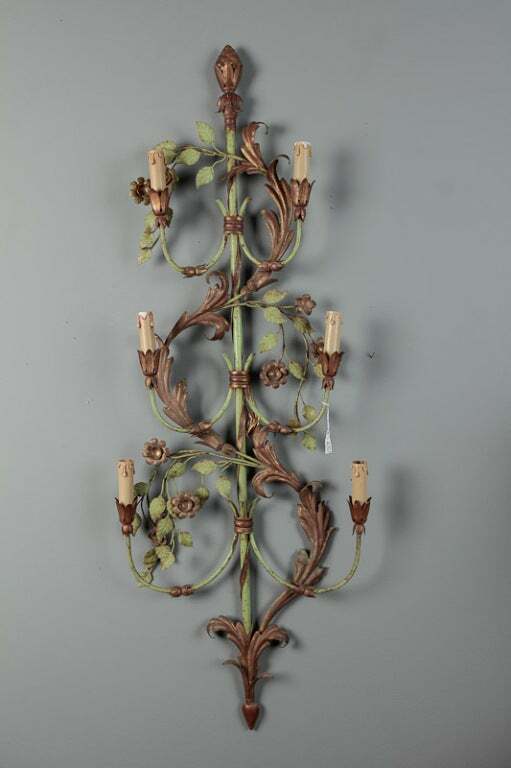 Priced per sconce. 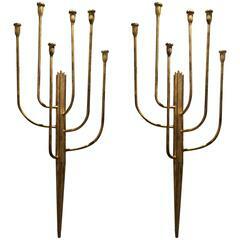 Great Pair Of French Decorated Bronze And Tole Two Light Empire Style Sconces, Newly Wired For U.S. Market.